This sign is for Safety Reports. The sign’s colors are green and white. 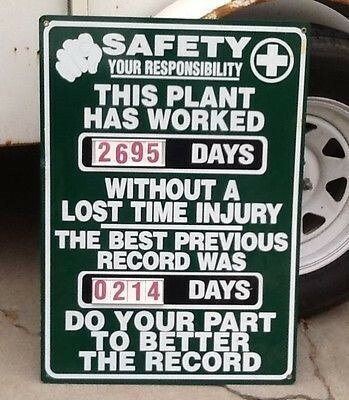 The text on the sign reads: Safety your responsibility This plant has worked 2695 days without a lost time injury the best previous record was 0214 Days Do your parts to better the record. The sign shows text.